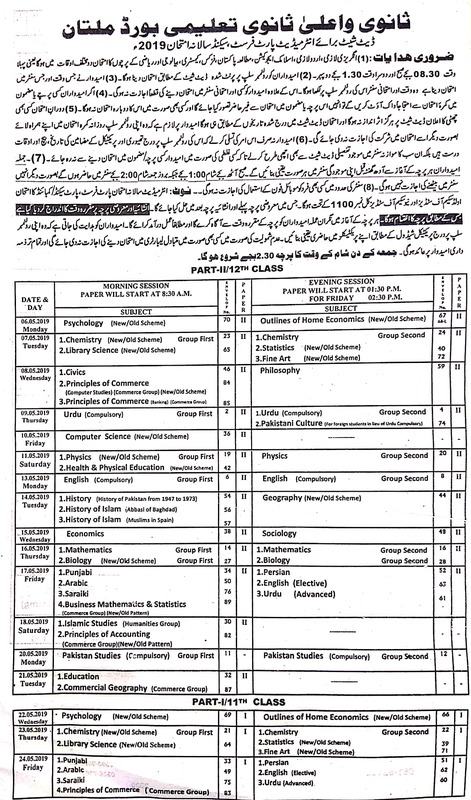 The intermediate class annual and supply exams are conducted by the Board of Intermediate & Secondary Education in the areas where the higher secondary schools and colleges are affiliated with BISE Multan. 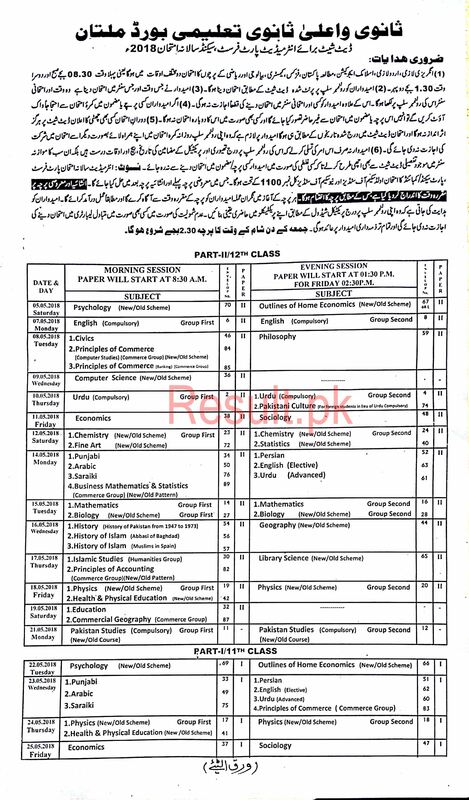 Every year, Multan Board organizes the 11th and 12th class annual exams during the months of May and June while written and practical papers are held separately. Every year, thousands of regular and private students appear in the HSSC part 1 annual exams & HSSC part 2 annual exams while the exams are held according to a schedule. 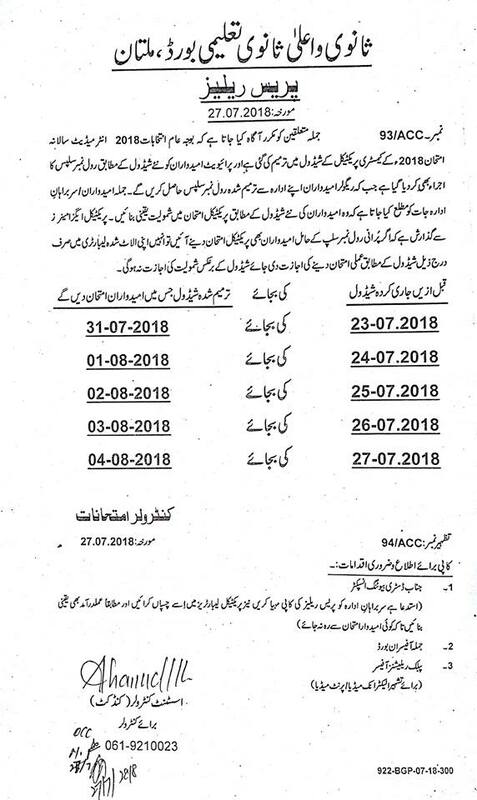 The date sheet of intermediate annual exams is issued two or three months before the start of the exams. The concerned students can view their date sheets soon after the announcement of the date sheet at the official site of the Multan Board. The sate sheets are very important for the students as most of the students start serious preparations of the exams after declaration of the date sheets. 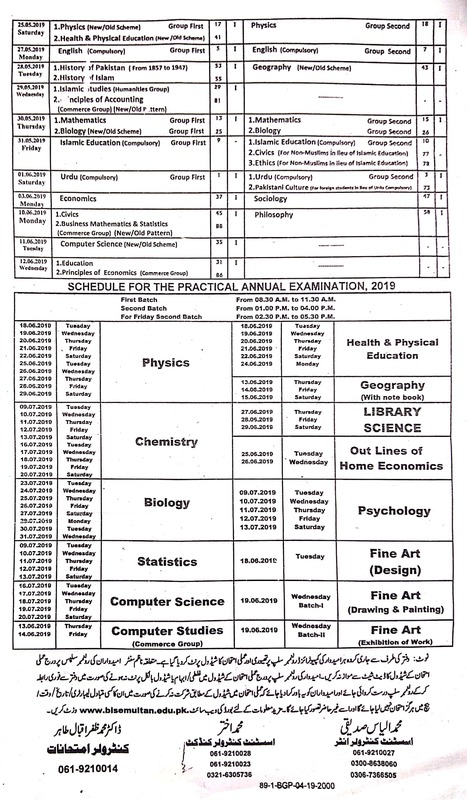 These date sheets help the students of 11th and 12th class to start preparation of their exams according to the examination schedule given in the date sheet. The date sheets of HSSC part 1 & 2 supply exams are announced one month before the start of the supply exams.